Cognitive deficit is a key feature of late-onset depression (LOD) and remains after clinical recovery. LOD has been associated with widespread neurobiological difficulties, including atrophy in gray and white matter (WM) tissue in areas distributed throughout the brain. However, little is known about the topological pattern changes of WM structural networks in LOD in the remitted state and its relationship to cognitive deficits. We acquired diffusion tensor images in 37 remitted LOD (rLOD) patients and 30 healthy controls. The tract-based spatial statistics method was employed to investigate WM tract integrity in rLOD. Graph-theory based network models were further used to characterize the topological organization of WM structural networks between the two groups. Compared with controls, rLOD patients showed decreased fractional anisotropy values in the left posterior cingulate bundle, right inferior fronto-occipital fasciculus and superior longitudinal fasciculus. Moreover, rLOD patients showed abnormal small-world architecture (i.e., increased path length and decreased network efficiency) in the WM structural networks. rLOD patients also showed reduced nodal efficiencies predominantly in the frontal-striatal-occipital and posterior default-mode regions. Importantly, these structural connectomic changes significantly correlated with cognitive deficits in the rLOD patients. Finally, rLOD networks showed more vulnerable to targeted attacks compared with healthy controls. 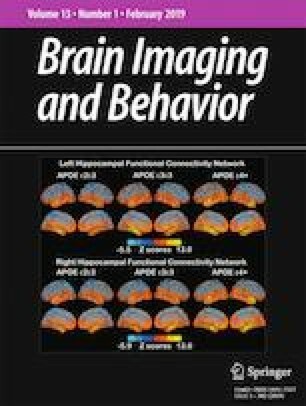 These findings provide structural evidence to support the concept of rLOD that the core aspects of the pathophysiology of this disease are associated with disruptive alterations in the coordination of large-scale brain networks and advance our understanding of the neurobiological mechanism underlying cognitive deficits in the rLOD patients. The online version of this article ( https://doi.org/10.1007/s11682-019-00091-x) contains supplementary material, which is available to authorized users. We thank all the patients and volunteers for participating in this study. This study was supported by the Projects of International Cooperation and Exchanges NSFC (grant number 81420108012), the National Key Basic Research Program of China (grant number 2014CB846102), the Natural Science Foundation of China (grant number 81601559), and the Key Program for Clinical Medicine and Science and Technology: Jiangsu Province Clinical Medical Research Center (grant numbers BL2013025, BL2014077).